Just a quick post this time to show you one card I received and one I sent. 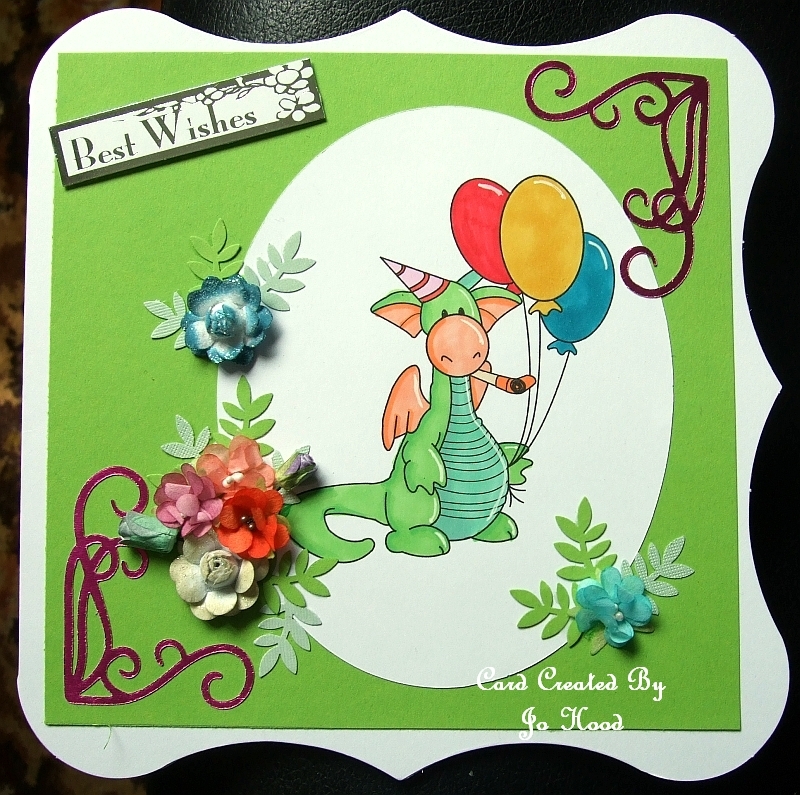 My partner for the June Card Swap on the “Stamping Dragon Designs” group on FB was Jo Hood. Photos of the card I received from her, together with the card I sent her, and the details of what I used to make it, can be seen below. 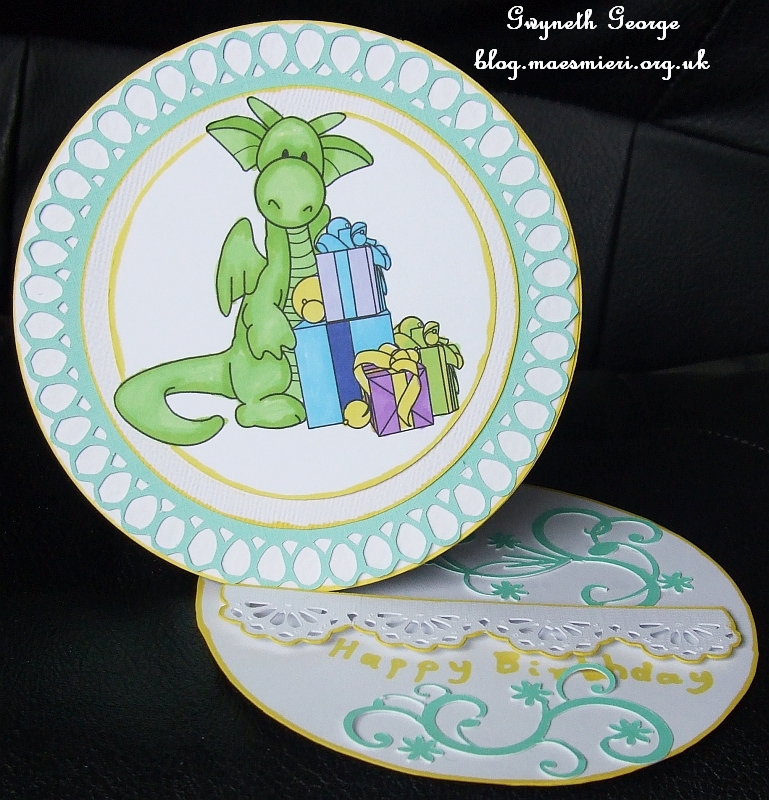 The theme for the June Card Swap was “Birthday”. June Card Swap on the Stamping Dragon Designs FB group – this is the card I received from Jo Hood. Thank you so much Jo. It’s gorgeous. The colouring is fantastic and I love the floral and flourish embellishments. This next one is the card that I sent Jo – I’ve used the image, but colourd differently, on another card a while ago, but this time I went for a twisted, circular, easel card, which means that the topper looks as if it’s rolling off the side of the card base.